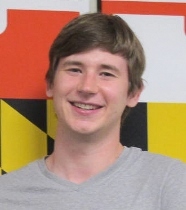 "The ability to transition straight to graduate studies at UMD provided me with a clear competitive edge by gaining the first look at the most interesting research in ECE and ultimately getting my degree faster." Interested undergraduates will generally apply for the combined BS/MS program at the beginning of the second semester of their junior year. At the time of application, students should have completed at least nine credits of 300-level ENEE or CMSC coursework. The BS/MS program targets students whose academic performance is exceptional. Nine credits of graduate courses applied to the bachelor's degree may be counted also for graduate credit in an individual student's program. Courses to be double-counted must be at the 600-level or above and must receive at least a grade of B. Individual study courses, internships, or courses given as credit by examination are not eligible. The credits to be double-counted will be designated as applicable to the graduate program of study after the student receives the bachelor’s degree and matriculates in the Graduate School. Students must also formally apply to the Graduate School for admission to the ECE graduate program (generally two semesters before BS graduation). Students must follow all departmental and Graduate School deadlines and requirements for graduate admission. The Department offers two options for the BS/MS degree: Thesis and Non-Thesis. Graduate level courses taken as part of the BS/MS program may be applied towards undergraduate major requirements. Electrical Engineering majors can use their ENEE6xx courses as Category A or General Technical Elective requirements. Computer Engineering majors may use their ENEE6xx courses towards their Category C or Category F (Gen Tech Elective) requirements. Tuesday, April 9, 2019 at 5:00 pm in 2460 AV Williams Building. Please RSVP here. Once you attend a session, you can discuss the feasibility of the program in your academic plan with your assigned advisor. If this seems like a viable option, please make an appointment to speak with Ms. Emily Irwin, Program Manager for Graduate Studies, to discuss the application process.